At the Battle of the Little Bighorn (or Battle of Greasy Grass) Lakota, Northern Cheyenne, and Arapahos defeated U.S. Army General George Armstrong Custer. Though they won the battle, the Natives eventually surrendered to relocation and reservation confinement. Lakota Sioux have lived in the present-day South Dakota area for centuries. The first reservation treaty between the Lakota and the United States was signed in 1851 when Europeans on the Oregon Trail started to cross the southern part of Lakota lands in large numbers. 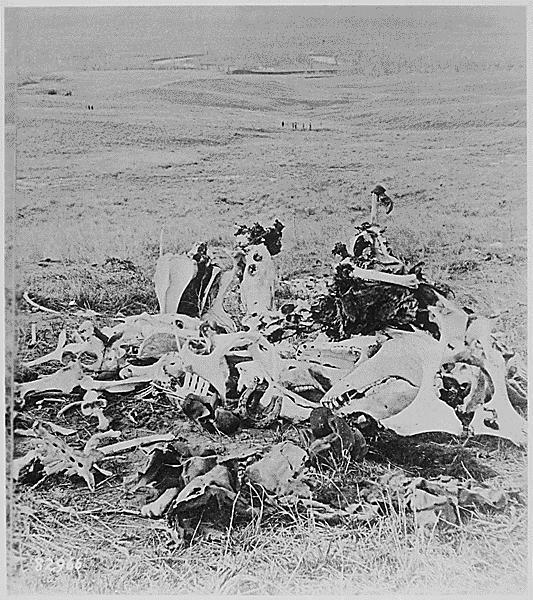 There were several clashes between whites and Lakotas after that, but the biggest and the most famous conflict happened in 1876 when several hundred U.S. soldiers were killed by Lakota, Northern Cheyenne, and Arapaho forces at the Battle of the Little Bighorn. By the 1870s, many Plains Natives had moved onto government agencies in Nebraska and South Dakota. However, in 1875, after discovering gold in the Black Hills on Lakota land, and anxious to civilize the buffalo-chasing nomads, the United States ordered the rest of the tribe to move or be punished. 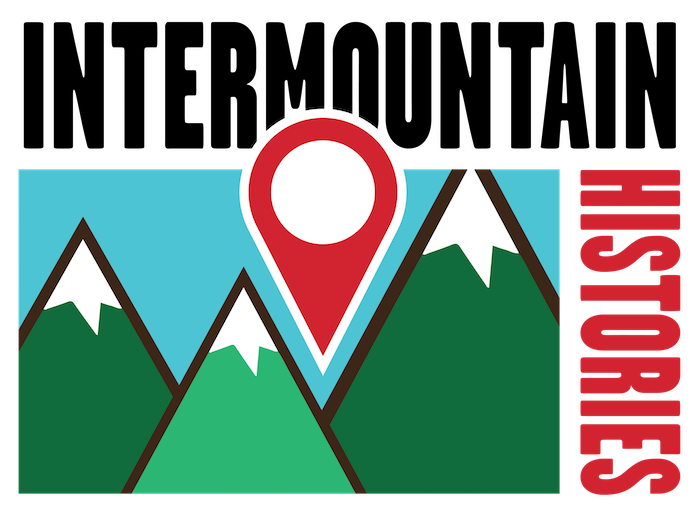 Move was something Sitting Bull, a well-known Lakota chief, could not do. For the previous ten years, Sitting Bull had pushed his people to reject the restrictions of agency life, which fought against Lakota religion, language, and tribal organization. In 1876, he started gathering Lakota, as well as their Cheyenne allies, into a huge moving village in southeast Montana far away from the agencies. Angry at Sitting Bull’s defiance, President Ulysses Grant sent an army led by General Terry to march to Sitting Bull’s camp and force him to obey. Terry decided to split his army in half: the half led by him would attack from downriver with the help of a riverboat while the half led by General Custer would attack from upriver. Custer was impatient, started his attack early, and was overpowered by the superior numbers and fighting experience of the Lakota and Cheyenne warriors in the village. Of the 650 soldiers in Custer’s army, 268 of them were killed, including all of the soldiers who were fighting beside Custer at the time. The survivors managed to hide in a thrown-together fort until they were saved two days later by Terry’s army (who saw no action). The mission was a complete failure. For the US, the battle was a terrible shock and Custer was turned into an American hero, like Abraham Lincoln or George Patten. For the Lakota, it was the happy fulfillment of Sitting Bull’s vision of a strong Lakota nation, free from American laws and land grabs. Over the next winter, however, bad weather exhausted the Lakota, and in 1877 they gave up the fight and moved to Nebraska. General Custer kept his hero status until the 1960s and 70s when Native American culture and history started to become more accepted and Custer was seen more and more as a villain who oppressed a nature-loving society. Today, the Battle of the Little Bighorn is still alive in the memories of both natives and non-natives as the moment in history when Indians proved that, despite what most whites believed, they were still very much a force to be reckoned with. Custer's Last Stand ~ Source: From Wikipedia Commons. “Custer’s Last Stand,” available at https://commons.wikimedia.org/wiki/File:Custer%27s_Last_Stand,_1877.png. 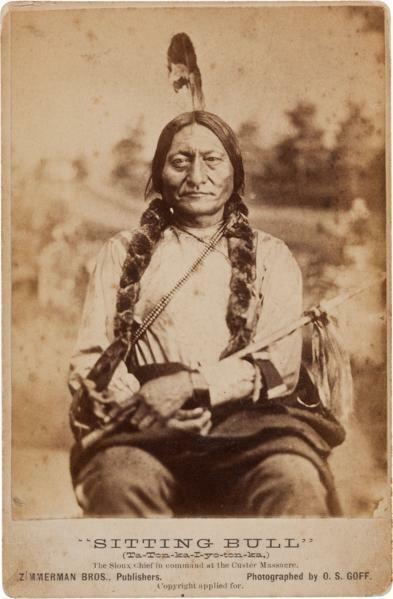 Sitting Bull by Goff ~ Source: Goff, Orlando Scott, from Wikimedia Commons. “Sitting Bull by Goff,” available at https://commons.wikimedia.org/wiki/File:Sitting_Bull_by_Goff,_1881.png. Custer9 ~ Source: Mora, Jose Maria, from Wikimedia Commons. 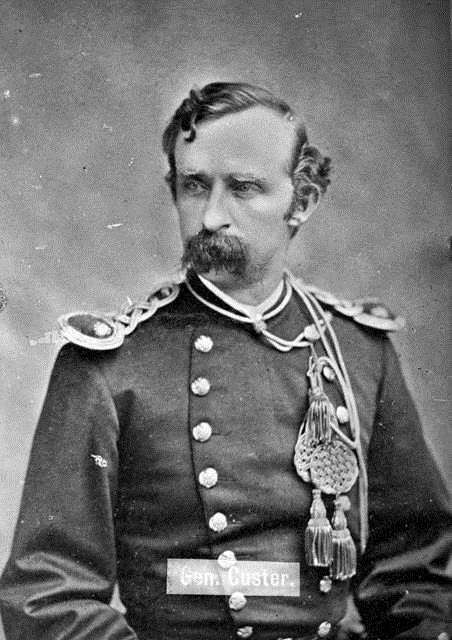 “Custer9,” available at https://commons.wikimedia.org/wiki/File:Custer9.jpg. Jonathan Reil, Brigham Young University, “The Battle of the Little Bighorn,” Intermountain Histories, accessed April 20, 2019, https://www.intermountainhistories.org/items/show/186. The Arikara Narrative. Ed. O. G. Libby.Glorieta, New Mexico: The Rio Grande Press, Inc., 1976. Cheyenne Memories of the Custer fight: A source book. Ed. Richard G. Hardorff. Spokane, WA: Arthur H. Clark Company, 1995. Lakota and Cheyenne: Indian views of the Great Sioux War, 1876-1877. Ed. Jerome A. Greene. Norman, OK: University of Oklahoma Press, 1994. Marshall, Joseph M. III. The Day the World Ended at Little Bighorn: A Lakota History. New York, NY: Penguin Books, 2007. Philbrick, Nathaniel. The Last Stand: Custer, Sitting Bull, and the Battle of the Little Bighorn. New York, NY: Viking Penguin, 2010.